Today we want to talk about the importance of the professional courier company. And, especially, we want to detail what 3 of our basic and most demanded services are in the Valencian courier service. What are: the urgent courier in Valencia and periphery, the delivery service by bag and the most critical emergencies (Critical Service). In which towns does Asmen- Tipsa Valencia operate? Our immediate collection and delivery service operates in the city of Valencia and in the towns of the periphery. And we do it for everyone who requests it, both for companies and individuals. Our messengers are coordinated with the Traffic Department, in charge of assigning the tasks and delivery areas of our messengers in Valencia. So that each service is resolved quickly and efficiently. A fast, close and professional service. The baggage service allows the collection, transport and urgent delivery, at fixed times, of documents or different goods, under contract. When is a baggage service necessary? This service is tailored to each client, and especially dedicated to companies or institutions that need a daily communication system and urgent shipments. In Asmen – Tipsa Valencia, also known in the field of messaging as Tipsa Patraix, we develop an optimal and timely system. A service that is strictly adapted to the needs of each company in terms of shipping days, hours and locations. 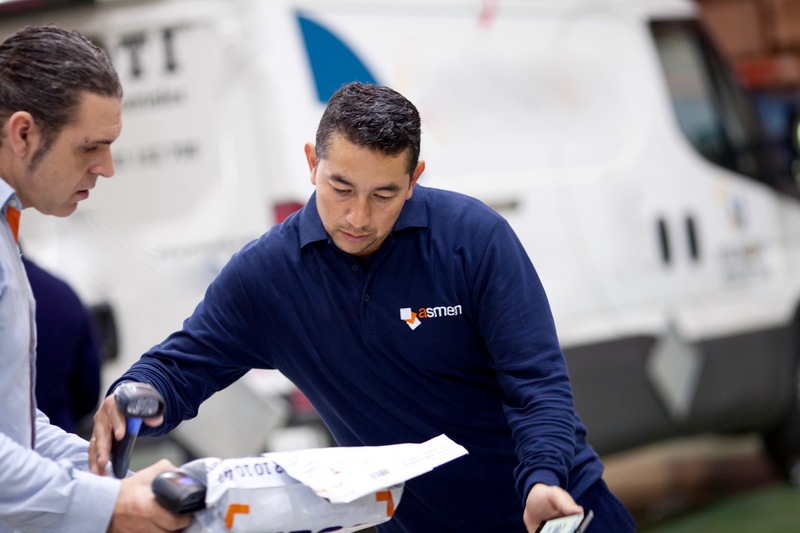 From Asmen Tipsa Valencia we manage the process of collection, transport and delivery of the goods, always guaranteeing a professional service. Critical Service is a new service that we have developed after understanding the most complex needs of our customers. After many successful cases, we decided to offer a service that solves the most critical emergencies. A service that solves the most complex and critical logistics situations, which due to their characteristics require a special transport service. This service has an infrastructure and professional technical team 24 hours a day, 7 days a week. For more information about this service, click here. You can contact Asmen – Tipsa Valencia by calling: +34 963 841 063. Or, if you prefer, you can fill out our contact form easily and quickly. Click here.